What's Your Favorite Checking Account? What’s Your Favorite Checking Account? Over the weekend, a reader name Patrick e-mailed to ask for my opinion as to the best free checking account. I sent him my thoughts on the issue (below), but thought that it would be good to throw this one out to you guys, as I’ve done in the past when searching for the best online savings account or the best online broker. So… What your favorite free checking account? There are a number of online options, including ING Electric Orange (nice APY for higher balances, but there’s no physical checkbook — all check writing is done online) as well as E-Trade’s online checking account (again, nice APY for higher balances). As for us, we have a local checking account with Bank of America, which is where we also have our business checking account. It’s “free, ” but it pays zero interest, so we’re paying for it indirectly. We mainly have this account because: (1) we have kids and write a lot of random checks for school lunches, fundraisers, etc. (Electric Orange wouldn’t work very well for this), and (2) we frequently have to deposit checks, and Bank of America has ATMs everywhere (at least around here). We have this account hooked up to several online savings accounts, including our current favorite, EverBank. That way we can easily shift money in or out depending on our needs while still earning as much interest as possible. Do we like Bank of America? Not really. But it’s convenient, and fills a need. 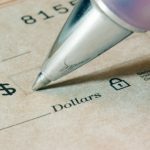 How Many Checks Do You Write? I’ll place a third vote for Presidential. Paired checking and savings, 2% and 2.6%. $5 fee if balance in checking drops below $1,000. Requires direct deposit. THen I pair this with my UFBDirect account, paying 4%, which comes with ATM card and ATM fee rebates. Then I use a local credit union to drop off small checks. I love my Salem Five eOne account. No fees, ATM fee reimbursement, free starter checks, a $25 bonus when your first direct deposit goes through, APY ranging from 2.75% up to 3.25%, and deposit insurance in excess of FDIC limits through Massachusetts’ Depositors Insurance Fund (you don’t need to be in Massachusetts to have an account, though). I also keep a Wells Fargo checking account for local deposits. It too is free since I have a balance of more than $50,000 in WellsTrade accounts (largely 401(k) accounts from former employers rolled over into IRAs), plus I get 100 free trades a year in each account. we like USAA. we also have BofA, because there are lots of branches in our area and use it for stuff we need to have a branch transaction to do, which isn’t much. Don’t like BofA, had lots of deposits with them, but withdrew because they pissed me off. waiting for a CD to mature next month, and that will go away as well. We’ll have min ($250) in checking acct there in order to avoid monthly fee so we can use the bank branch for whatever; otherwise, we use USAA Asset Management Account. We also have igobanking savings acct. Had others like HSBC, ing direct, citi, etc for signup bonuses, but they got to be too tedious even with only $1 in each. closed everything else up and just don’t find it is worth my time to continue signing up for accts. i’ll probably do it for more than $250 sign up bonus, but nothing less than that. I use a local credit union for a checking account. It’s free, has a very good interest rate (last time I checked it was 3% on any balance), no ATM fees ever, and free checks. Works great for me. FNBO Direct is by far the safest online bank, with a 4 star rating from bankrate.com. It also has a decent APY of 3.25 right now. If you’re investing with an online bank, I’d choose FNBO, why not go with the safest. In the end, I took the $100.00. I spoke with B of A and the offer was still good, so I figured $100 was better than whatever little interest I’d earn over the next year. Also, in these times, $100 is $100. Bank of America is all over New York City and New Jersey, so I think I’ll be good. Plus, I already have a B of A credit card, which made the application process a breeze, and I can also transfer money easily into my wife’s checking account at B of A, which I am sure she will enjoy. I passed on the “keep the change” because I rarely use my checking accounts for anything but cash withdrawals and the interest just wasn’t enough to convince me to keep a minimum of $300. Hopefully I made the righ decision. I’ll keep everyone posted. First off, I can’t thank everyone enough for the comments. It looks like we’ve had a pretty healthy look at this post, even with a holiday coming up. Right now, I’ve got HSBC and you’ve got to download your Quicken file because it won’t download automatically. I had to do this at Wachovia so that I could avoid the fee. I don’t mind it most of the time because I do a pretty good job at keeping track of what I spend. The more I think about it, HSBC has been pretty good with their checking, but I guess I’m just looking for either more ATMs or no-fees for ATMs and B of A offers one, while Schwab offers the other. As far as interest making the different, I’m not sure if such a small amount of interest makes up for giving out possibly $15 to $20 in fees a month if I’m not keeping a ton of money there. Right now, I’m leaning towards the B of A $50 account offer, but I’d love to hear more from the crowd, if they’ve got anything else. Patrick: You bring up a good point in regards to fees for Quicken. Just because a bank offers free on-line services, that may only mean you can log on and check balances, transaction detail, cleared check images, etc. One may not assue that ALSO means you may download your transactions into Quicken / Money for free. While many banks include the download feature for free, some do have a charge for this. I ran into this issue when looking into a local checking account for my mother-in-law. If you go with an online-only type of bank, you’ll likley not run into this type of problem. I have a Bank of AMerica credit card (used to be MBNA before the takeover), and we ARE ABLE to download into Quicken for free, but only at the end of the billing cycle, after the statement is generated. I don’t know how it works for their on-line checking account. I have two checking accounts now: E*Trade MaxRate and Century Bank Direct. I’m a big fan of both. I decided top open a second one because we decided with the shaky banking industry we’d rather keep the checking and emergency fund at separate banks, just in case. E*Trade get’s 2.9% for balances of $5000. They have a really nice online banking interface that let’s me consolidate banking with brokerage. I also have a 3.3% savings account with them. Century Bank Direct get’s 3.35% no minimum max $50,000. They do not offer ACH transfers (except to fund the account). Their online banking is nothing special, but the interest rate is stellar. I’m moving checking from CBD to E*Trade this month, but leaving our emergency fund in their Money Market account (3.57%) and a CD ladder (4.45%). Since E*Trade offers ACH transfers in and out, still I can move my money around as I see fit. Unfortunately, none of our local credit unions offer very good rates, and the local banks don’t have ANY interest on regular sized checking accounts, so we had to go hunting online. I have mine with my local credit union. They have a great checking account that is currently paying dividends of 5.01% apy. I absolutely love it and it is totally free. I’ll second the vote for Presidential Bank. They have great rates for both checking and savings. (A couple years ago, their checking account interest rate was higher than ING’s savings account rate.) And they do have several bank branches and ATMs in the DC Metro area. I am a big fan of USAA. If you qualify (primarily open open to those serving in the military, those with prior military service, and children of those with military service) they are a great bank to work with. The checking interest rates are anemic, but they refund all ATM fees, give you postage paid deposit envelopes, and have great customer service. Additionally, their CD rates are top notch. I have to second the Charles Schwab High Yield Investor Checking. I am in the process of switching over multiple other accounts to this one. The have a great web interface, very helpful and easy to get hold of customer service, reimbursed ATM fees, great bill pay, good interest rate, and no fees or minimum account balance. I haven’t had any negatives yet (been using it for about a month and was with WaMu and US Bank before). I’ve been a Schwab customer for years and switched over to their High-Yield Investor Checking in spring 2008 and am glad I did. The interest rate is variable and has gone up and down between 1-3 percent. A year ago it was 4.75%. Won’t see that anytime soon. So I opened up a savings account with ING Direct and can easily transfer money between accounts. Since Schwab has no bank branches, I direct deposit my paycheck at work. Other deposits I mail to their headquarters in Reno, NV. Since I maintain a high balance and don’t live paycheck-to-paycheck, it’s worked fine for me. You CANNOT do banking at Schwab’s walk-in brokerage offices; there’s a firewall between brokerage and banking operations. Since Schwab has no ATMs, I’m free to use any ATM machine I want, whether the fee is $2 or 5, it doesn’t matter, I’ll get reimbursed at the end of the month. Usually that means $15-20 a month! Not too shabby. I don’t have to maintain a minimum balance because I’m already a Schwab One customer, but I think there may be a $500 minimum if you aren’t already trading stocks with Schwab. In any event, I’m surprised this bank doesn’t get more props. It doesn’t get a lot of recognition either. When I went around my neighborhood looking for a bank with a safety deposit box, many of them required an existing account. I’d decline, saying I already had a checking account. Then the clerk or manager would ask me where. When I’d reply Charles Schwab, they’d just look at me like I was a loon. None of them heard of it! We like BofA too and linking it to an online saving account enables trasfer of funds. I rarely have a lot of money sitting in the BofA checking account so interest (or the lack of it) is not an issue. Also, I am satisfied with BofA’s bill pay. Of course in our case, we have our mortgage with BofA and so we don’t need to keep minimum balances etc in our checking. Also, a follow-up question for anyone out there. If you have any info on whether the bank charges a fee for Quicken, it would be greatly appreciated. This whole fiasco started, in part, because of Wachoiva’s $5.95 monthly fee. Does B of A have a similar fee? You should check out checkingfinder.com. It shows you lists of local banks (not national) that offer interest-bearing checking accounts. Some of the banks offer really good rates! I really like(d) my WAMU checking account, as everything was free. 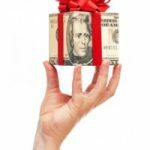 They also had one of the highest-earning online savings accounts, which I had linked to checking, and could drag-and-drop funds between the two instantly (no waiting for days for ACHes to clear). However, now that they are part of Chase (do any of the rest of you find it odd that we’re still seeing separate ‘WAMU’ commercials on TV), their savings account rate isn’t all that great. The checking account still rocks, but I get the feeling that once they fully integrate with Chase, we’ll loose many of the freebies, such as free non-Chase ATM withdrawls. I may have to take my checking account elsewhere should that occur. @Patrick: When I applied for the account,they pulled mine once. Haven’t seen a second inquiry by them on my credit report. Till now,I have no issues with them at all.Their customer service is pretty good,give a decent APY. I keep a local bank account to deposit checks once in a blue moon,and link my schwab account to transfer money to it. Schwab gives you postage paid envelope to deposit checks as well,but I prefer to deposit in my local account. Their ATM rebate thing is pretty cool,I can use any ATM including the machines in gas stations,and they refund your charges as well.As of now Schwab is my favorite.Some of my friends use Chase checking as well.They give like 25-50$ if you open a new account with direct deposit and I have heard you can use 3 non Chase ATMs a month without any charge. Of course, I must first say thanks to Nickel for posting this. I keep hearing this rumor that Schwab pulls your credit, not once, but twice, when you apply for an account. Any truth to that? Schwab sounds like the best so far because of the ATM rebates. I’m not really worried about the interest because I’m not sure how much I’ll be keeping in there, but I figured it is better than nothing. I’ve been with HSBC for a while, but since I travel a lot, I’m tired of having to pull cash out before I head out of town or use the cash back feature after buying a pack of gum at CVS. Thanks again for the comments and I’m looking forward to hearing more about everyone’s favorite checking. Sounds like I might do what you do, nickel. I have 2 checking accounts: one at ING Direct for billpay and other stuff, and one at a local credit union for daily spending. The two are linked, so it’s easy to transfer money. The CU account also allows me to write checks (I write something like 20 a year) and to easily deposit checks. Typically I keep only enough in the credit union account for a month’s spending, since that’s the account I use for debit transactions, and that way I don’t have to worry if my card is stolen or my account is otherwise hijacked. Lately, however, I keep ALL of my money in the CU checking account, since my CU pays 5% interest on checking, if you do 12 terminal transactions a month (that is, use the card as debit or credit). Since I’m unemployed, I need every penny I can get, so 5% is awesome to me right about now, so I make sure to do the required 12 transactions. Ordinarily I wouldn’t care enough about it and would just keep my funds at ING Direct in a savings acct. I really like (and highly recommend) Presidential Bank. Their website seems a bit dated, but their online bill-pay program is amazing, and the account earns 2.00%APY interest (up to $25,000, then 1.75%). The one disadvantage is not having local ATMs, but I use a local, free checking account for that. We have similar accounts, I too keep a checking account (and small savings) with B of A for the convenience. I’ve never had any problems with them, though a lot of people love to hate B of A. I’ve got so many automatic withdrawls set up it would be a pain to change at this point. I never keep much money in my checking, I do zero based budgeting, so I don’t worry about the interest loss.